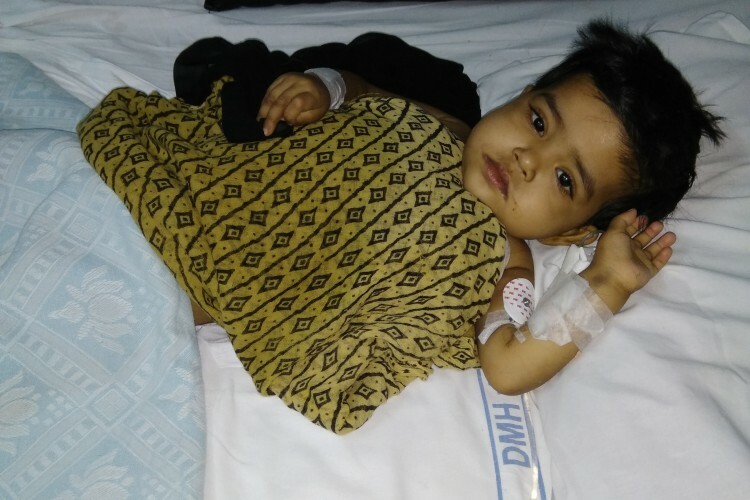 Help This 2yrs child fighting against Cancer and many more. This was aleena on whose behalf GLOBAL VISION have took the stepping stone to gift her a new beautiful life she deserves . Since we have many patients like Aleena we are trying to help everyone on time .GLOBAL VISION is an ISO CERTIFIED organisation and registered under bombay public trust act ,1950 we have helped 5000 + cancer patients in last 9 yeras and we are on a rocket to help many more . As per our current patients requirment we are in an urgent need of 25 lakh rupees . Your share could be as good as a donation for global vision! Not everyone can afford to take care of their loved ones. global vision's life can only be saved by donations made by kind people like you.